We did a 16 days trip to Rajasthan visiting Pushkar, Ajmer, Mandawa, Nawalgarh, Dundlod, Bikaner, Jaisalmer, Udaipur & Jaipur. We had hired a taxi from Jaipur and would be covering these destinations one by one. Keep visiting! 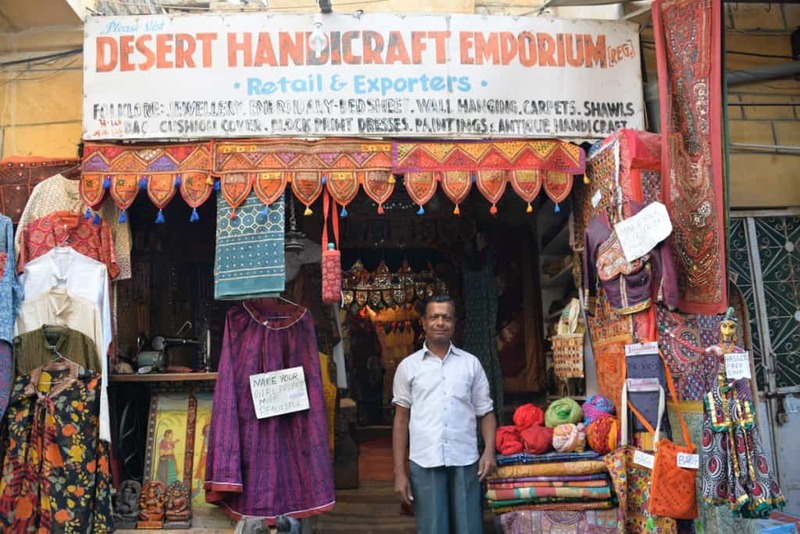 Jaisalmer has a unique charm in the city, when you visit you must enjoy the local market’s, tourist attractions, the sand dunes. I’ve penned down our experience in three different parts, this is part 1. Driving further from Kheechan, we were hitting the city just in time for Lunch. We had booked ourselves in Hotel Gulal and check-in was just a breeze. The front desk was very friendly and helpful and explained to us about the city, they also helped us plan our day to make the most of it. 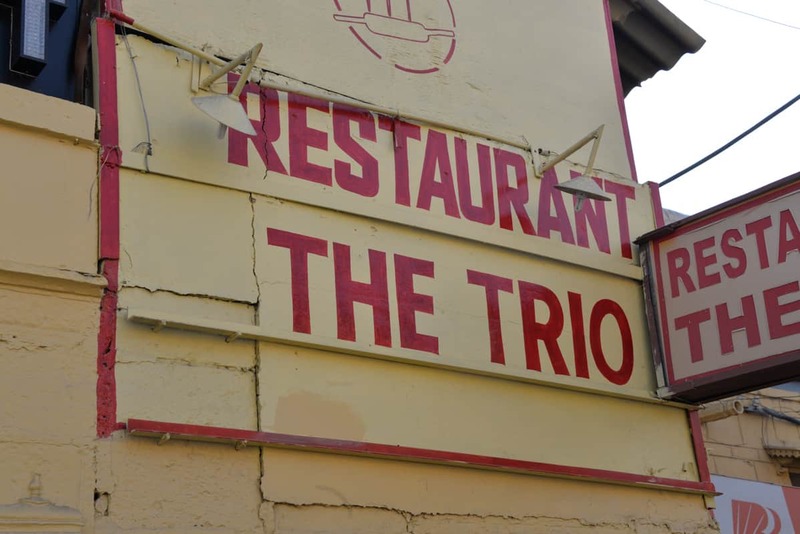 We decided to have our Lunch at Trio, one of the oldest restaurants in Jaisalmer overlooking the fort. The roof top place was filled with tourists and we had a wait a while before being seated. On suggestion of Chef Chandra Prakash of Trio, we went in for Dhora Dal & Mutton Nagori. The Mutton was prepared on slow flame using whole spices and chili, a very traditional way and we enjoyed it thoroughly. Once done with our Lunch, we strolled through the streets in the old town to move towards the famous Haveli’s of Jaisalmer. 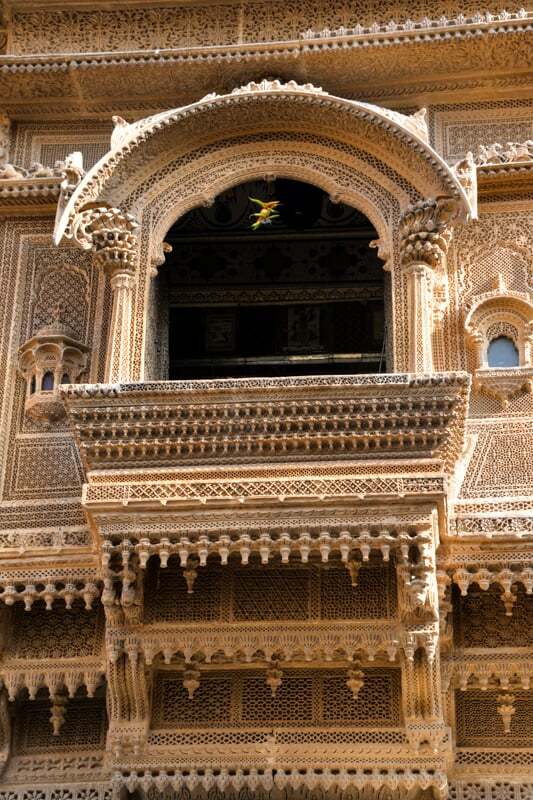 Our first stop was at Nathmal Ki Haveli, a haveli built in two parts by two brothers for then Prime Minister of Jaisalmer, Diwan Mohata Nathmal. It has minute differences which are hard to spot and it was actually a lot of fun to find some of them while the local shopkeepers helped us to find many more. 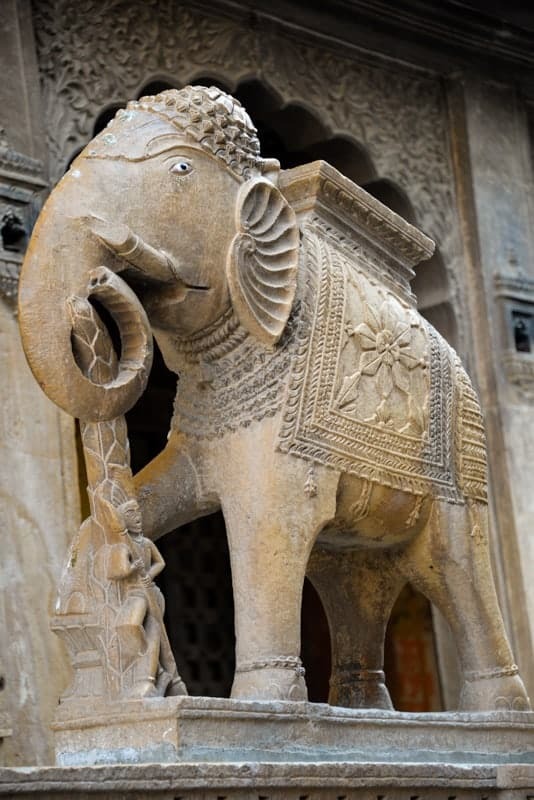 The haveli depicts honeycomb structures in windows, doors, while showing many images of cattles, horses, elephants etc. 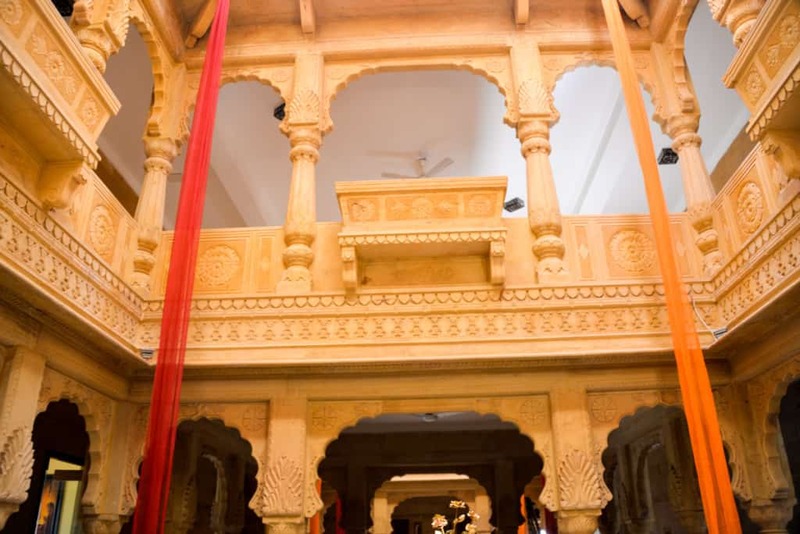 The honeycomb structure brings the rich architecture to life, they were much in use at the time as was clearly evident in other haveli’s as well like Patwon Ki Haveli and Salim Singh Ki Haveli. 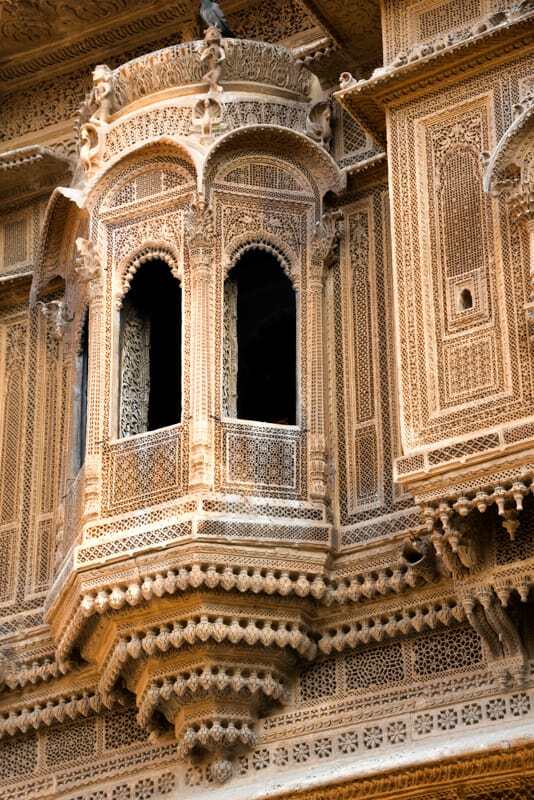 The haveli’s were either built by rich merchants and trader’s or people high up in the royal hierarchy of Jaisalmer. 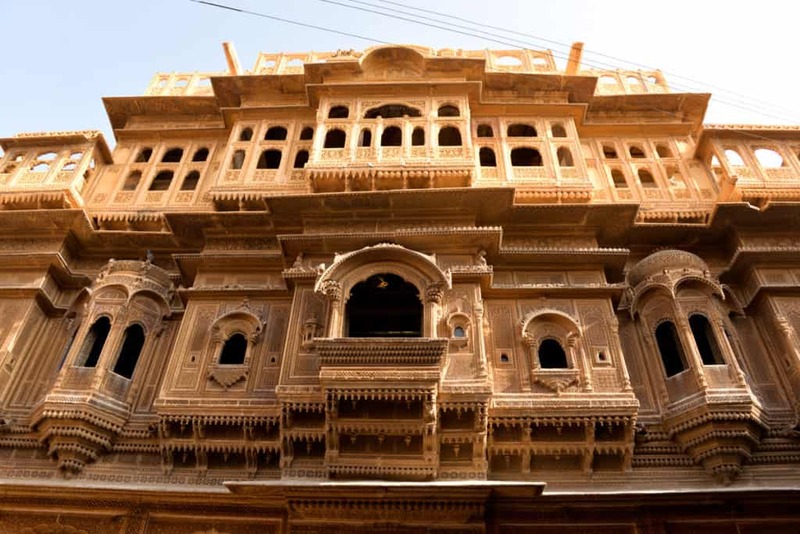 Patwon Ki Haveli hosts five haveli’s made by Guman Chand Patwa for his five sons, while Salim Singh Ki Haveli was made by another Prime Minister of Jaisalmer, Salim Singh. These haveli’s are an absolute must visit if you like appreciate architecture and history. They also serve great for a backdrop in photography. Most of the haveli’s can be traversed on foot once you are in the vicinity and the local’s were very helpful with directions through the narrow lanes. The old market also proved to be rich in antiques like old styled vessels, pots & pans and props that I use for my food photography. I was overly joyed and carefully selected my pieces. Satisfying myself with all the shopping, we moved slightly away from the city towards Vyas Chhatri taking a slight diversion through Amar Sagar, a Jain temple. 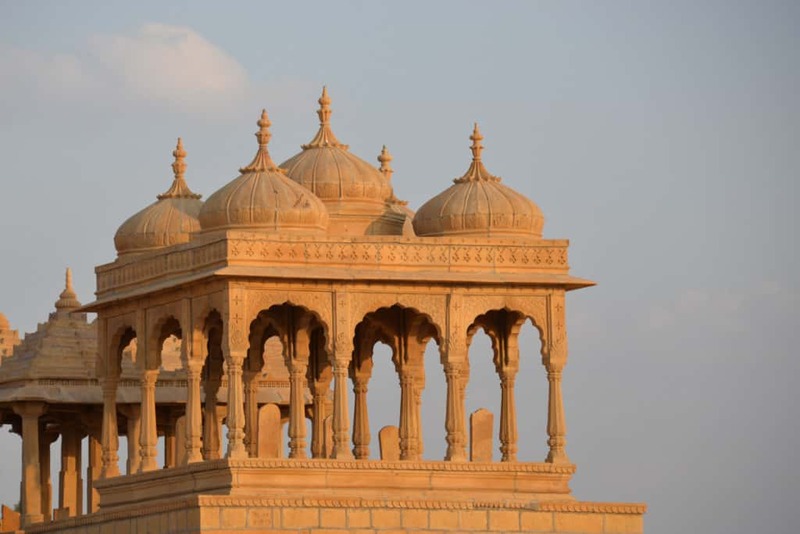 Vyas Chhatri are best to capture the Jaisalmer sunset and some great views to the city. 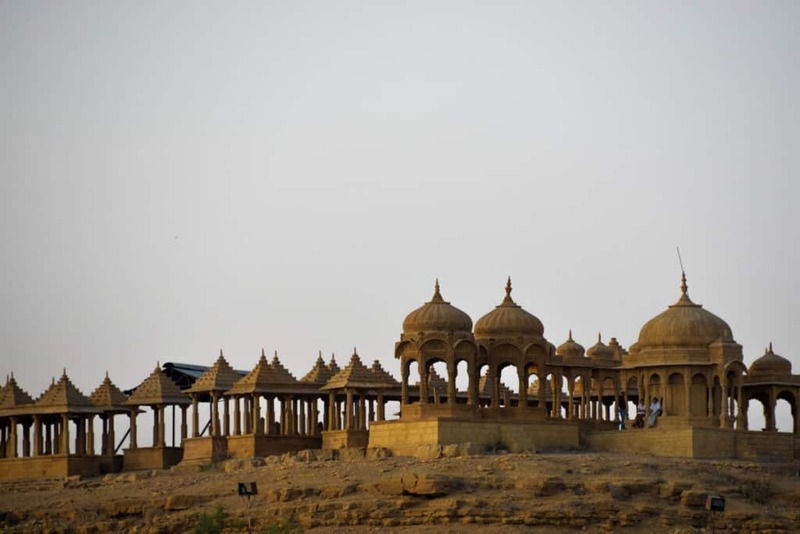 They were made to serve as a cenotaph for Sage Vyas of Mahabharata fame. They have intricate carvings and designs which I loved to capture with my camera. 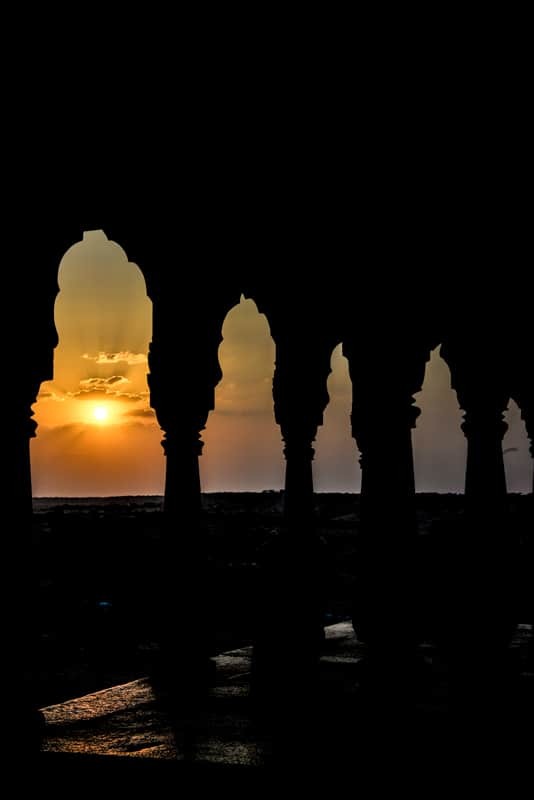 It was indeed a great sunset and we thoroughly enjoyed a relaxing break at Vyas Chhatri after a tiring day in the city. Once back at Hotel Gulal, we relaxed by the pool for sometime before heading for a roof top dinner. 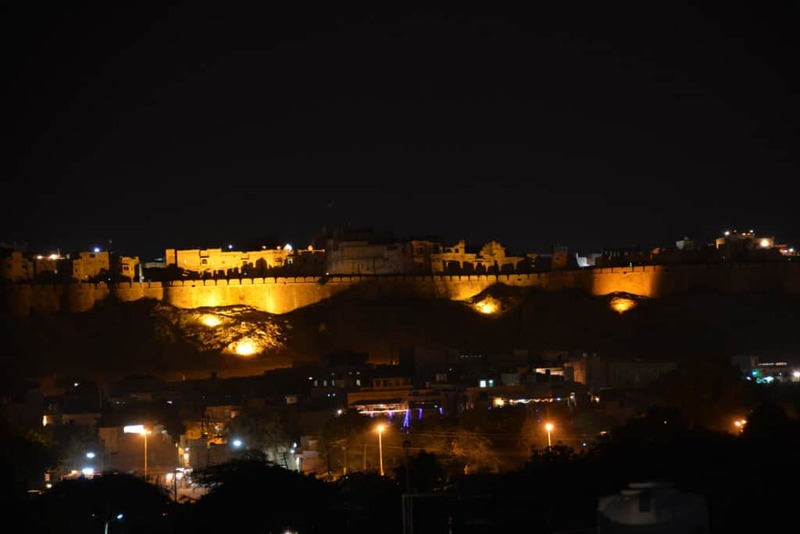 The hotel provides spectacular views to illuminated Jaisalmer Fort, while the owner spent personal time with all the guests. I was impressed with his knowledge about old traditions in Jaisalmer. He explained how people of this region which has very arid soil and literally no water made best use of available resources, making sure not to waste anything. The techniques to preserve food and water and reusing it through the year. I was already in love with the city and these stories made it come alive. We were loving the trip to Rajasthan thoroughly. We enjoyed the Gatte Ki Subzi, Kadhi with rice and roti for dinner and headed for a nice sleep. 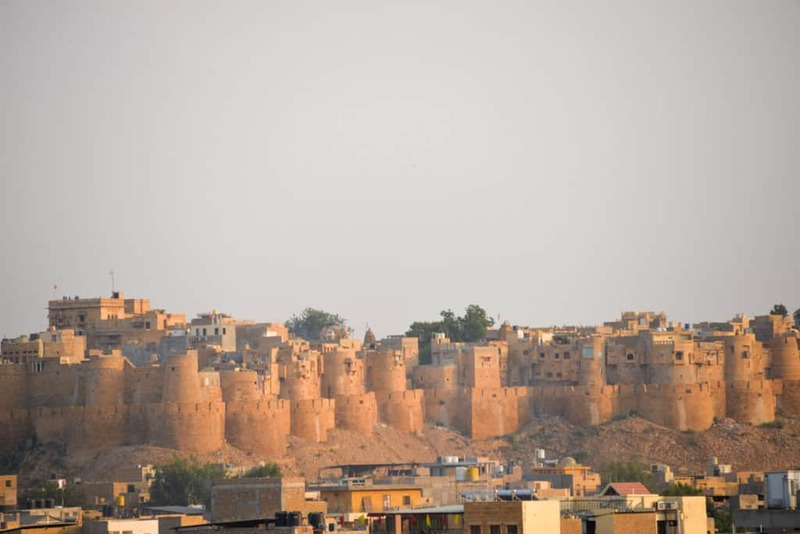 Your blog on Jaisalmer trip is just the right kind, as it takes us on proper step by step information about all the places of interest. This has proved helpful to me for planning my itinerary. Description about Hotel Gulal’s facilities was informative. Thnx Pankaj. I am glad the post helped you. I have more posts on other cities in Rajasthan and will be posting a few more in the coming days. Do check them out as well.